A growing number of homeowners are unlocking the equity in their houses, by selling and moving into a rental. William Jack woke up in the middle of the night last month as he often does. This time, though, he rolled over and went back to sleep. That’s when he knew that after more than two years of turmoil, he was finally home. The fact that the roof over his head belongs to someone else only added to his peace of mind. William and his wife, Mary Taylor, are among a growing number of Toronto area downsizers, who are choosing to rent rather than buy a retirement nest. It is a choice, they say, that can be physically, mentally and financially liberating. 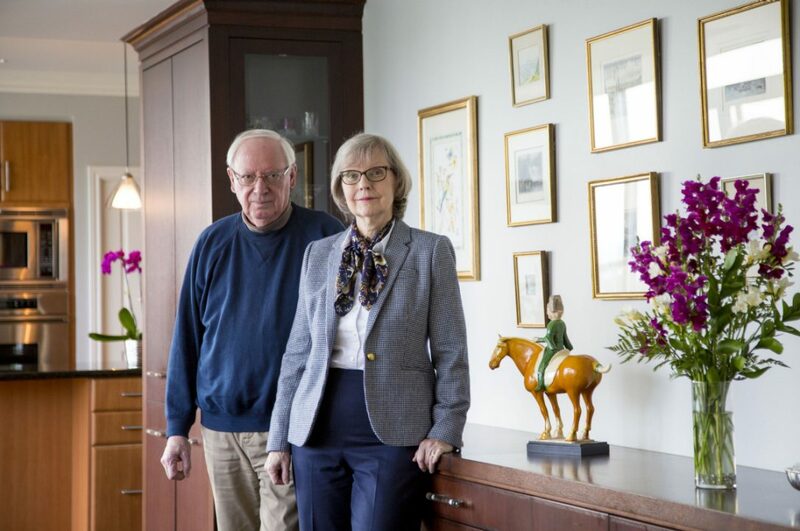 The couple — he’s 71, she’s 69 — are healthy, vibrant people. But a couple of years ago, their two-storey home of 32 years with its reverse ravine lot was “just consuming too much time and it was absorbing huge amounts of energy that we wanted to use in other ways,” said William. “There were rooms we didn’t go into,” said Mary. “We watched both our parents go through this downsizing exercise. I swore I would never do to anyone what my parents did to me. It was a nightmare,” said William. “We wanted to leave while we still could — gracefully,” said Mary. Royal LePage realtor Desmond Brown helped sell the couple’s east-end home and, in the end, he was the one who helped them find the two-bedroom, 1,800-sq. ft. condo they have been renting near the lake since the fall. The emotional and financial decision to rent rather than buy is becoming more common, said Brown. Clients like William and Mary, “have had a really good run by owning their own homes for many years,” he said. “They’ve accumulated a lot of equity. They have a feeling that the market is going to go back down again and all the benefits of this great market are going to be lost if they don’t cash in,” said Brown. At the same time, these home sellers can’t necessarily see spending $1 million or more, plus maintenance fees, on a condo. “Yes, I was incensed when I saw these places for the same amount of money as our house. How could that possibly be,” said Mary. Initially they were open to renting or buying. “Buying any of the units we looked at would have consumed a huge percentage of our net worth. You don’t want 50-, 60-, 75-, 80 per cent of your net worth in one piece of real estate. It’s just too risky,” said William. “The price of the condominiums we were looking at went up by $20,000 a month or more,” said Mary. The couple pays about $4,200 a month in rent. It might sound like a lot but they write only three cheques a month — rent, hydro and cable. When they lived in their house, there were 15 to 20 regular expenses. Gone, they say, are the bills for a security system, for chimney repairs, sewer connections and maintenance agreements on appliances. Even firewood cost $500 a year. The condo is the third rental for the couple since they sold their house. The first summer they rented a place in Prince Edward County and then they moved to the west end for a year. But they missed the east end. “We realized community was much more important than we thought. The cottage was isolated and (the west end) place was so transient you couldn’t have a community,” said Mary. Now they live in a building where they know other members of their yacht club and they enjoy bird-watching near the lake. Their apartment is decorated with souvenirs of their travels but there is no granny vibe. It’s the type of high-end rental that can be difficult to find. 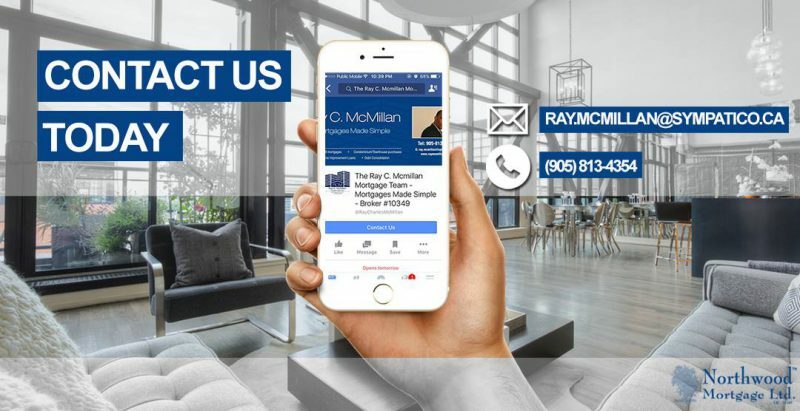 Apartment hunting is not particularly lucrative for realtors even if they can find something suitable among the few leases on the Multiple Listings Service. In the hot Toronto property market, renters are increasingly in the same position as home buyers. They have to compete, sometimes by offering higher rents or cash upfront. “We were paying $3,750 (in their previous west-end apartment) and when (the owner) listed it on MLS there was a bidding war and she ended up getting $4,500 a month,” said William, an actuary and former IT executive. Helping clients find a rental is all part of the service Brown provides when he has helped someone sell a home. He found this couple’s condo by word-of-mouth. But he acknowledges the searches can be challenging. “When you’re spending up to $5,000 you’re going to be picky so finding the right one can take some time,” said Brown. Mary says they knew they were home as soon as they walked through the door of their condo. But that was after they had looked at a lot of places — many were “appalling,” said William. Is renting a condo saving them money on a monthly basis? “Probably not. But it isn’t costing us more,” said William. He says they have taken the proceeds from their home sale and invested the money. Releasing the equity on your house can actually generate enough cash flow to cover rent, agrees Scott Plaskett, CEO of Ironshield Financial Planning. For people rich in equity but cash poor, renting can give them the freedom to pay for some of the extra things they want in life. It’s all very well to watch your home’s value appreciate, but you can’t eat a doorknob, he said. If the decision to rent or buy a smaller home is a financial wash, he advises his clients to go with the better emotional fit. That frequently depends on whether they are comfortable giving up the control of owning their own place or whether they really need the cash to cover the cost of enjoying their retirement. But Plaskett warns retirees to be aware that the economic environment in which they are investing the equity they have earned on their homes has changed. “We’ve never really existed in an environment where we’ve had wealth with interest rates this low,” he said. If you’re going to rent and invest your home’s equity you need to look carefully at where you’re putting that money so you’re not seeing your old age security benefits clawed back. “Now you have all this money that’s being released from one of the legal tax shelters in Canada into a non-sheltered environment,” said Plaskett. When their abundant garden became too much to manage, Jane and Bill Martin, 79 and 80, didn’t even consider buying another home. “We don’t want the responsibility. (With an apartment) you can close the door and go away. We just didn’t want to own again,” said Jane. Experienced apartment dwellers, the Martins raised their kids in an east end rental. They only bought their house south of Scarborough General Hospital because an accountant advised it as a wise investment, said Jane. They found 1,230 sq. ft. with two bedrooms, two bathrooms and two balconies for $1,882 a month near Cummer and Bayview Aves. The TTC is outside the door and conveniences such as a drug and grocery store, banks and the post office are right there. They’re not used to the shopping in their new neighbourhood yet. It feels like a long way to big department stores after living five minutes from the Scarborough Town Centre for so many years. They still go back to their old neighbourhood butcher. Laurie Bell has been downsizing seniors for five years. Lately, she says, she sees a trend to renting rather than buying among people who can still live independently. One couple actually rented a condo to see if they would like the lifestyle. In two other cases the reasons were financial, said Bell, who has a background in mental health and, at one point, even sold real estate. “When the person’s significant major asset is their house, they’re looking at how they can move, get rid of the maintenance,” she said. More seniors want to maintain their autonomy and avoid relying on their children or other family members. “They’ve seen it not go well if people do wait too late and there’s been a precipitous incident,” said Bell, whose company is called Moving Seniors with a Smile. Services like hers take a lot of the physical and emotional stress out of the downsizing process. There is often 30 or 40 years’ worth of possessions to sort through, which can be emotionally taxing because her clients can’t keep it all. She also has a coterie of reliable service providers: movers, junk removal companies, even shredders for paper work. Bell describes it as a three-day process. The first day is spent packing, the second day the client’s belongings get moved and the third day they get the new place set up.